Regular maintenance on your home gives you peace of mind and keeps your resale value strong. Putting some energy into seasonal and biannual tasks now will set you up well for holiday entertaining. Clean the gutters: Clear out any leaves and debris, and ensure your downspouts are draining properly. This will help prevent wood rot, keep away pests and prolong the life of your gutters. Check smoke/carbon monoxide detectors: It’s recommended to do this each spring and fall, so give them a test and replace batteries if needed. Inspect and clean the dryer vent: It’s recommended that you have your dryer vent checked once each year. Excessive lint buildup can pose a dangerous threat of fire. Clean the chimney: Whether you have a wood-burning fireplace or gas logs, hire a professional to inspect and clean your chimney once a year. Service your HVAC: Call a professional to service your HVAC components to see if everything is running efficiently. Make sure to change your air filter and test your thermostat as well. Deep clean indoors: Polish wood floors, scrub down cabinets, vacuum hard-to-reach spaces, wipe down the fridge, dust ceiling fans, etc. This will make hosting easier with the busy entertaining season quickly approaching. Spruce up the yard: Rake leaves, prune back bushes and trim any trees that are getting too close to power lines or the roof. This will promote healthy growth and protect your property from falling branches. Inspect windows and doors: Check for drafts and re-caulk or add weatherstripping where needed. I hope this little list helps you prepare for Winter. If you need professional real estate help, please call, email, or text anytime. Portland proper is getting more and more expensive to buy into. We have many surrounding ares that you might be interested in with short commute times into the City. This map shows the greater Portland Metro Area. 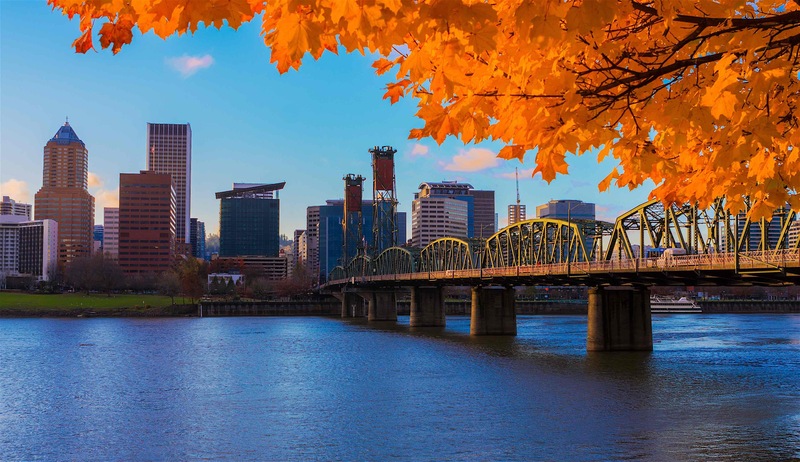 It consists of several different cities (suburbs), which are all commutable to downtown Portland. This is a close approximation of travel times. For more information on buying in one of our wonderful Suburbs please call, email, or text me. HUGE PRICE ADJUSTMENT!! Seller says sell! Incredible opportunity for you! Fixer on 4.92 very private acres of prime Boring Real Estate! Your long driveway ushers you through your gate to your wonderful, secluded property. The main house has 3 dynamic bedrooms, 2 clean bathrooms, spacious bonus room, updated kitchen with pantry, eating area plus FS-range & dishwasher included, big bonus room, beamed ceilings, and vaulted ceilings with a total of 2071 SF. Detached garage with attic storage, shop area and electricity. The largest of the detached buildings has office space, electricity, heat, bathroom with over 5300 SF, not including attic space. The next largest outbuilding has veg room, grow room, dry room, and lab all set up and ready to go, if you’re so inclined. Four outbuildings in all, plus detached garage. Fenced raised beds, small sport court, two large green house bases all set up. Many of the greenhouse metal parts are in the yard. Bring your hammer! House and outbuildings needs some work, but well worth the effort. This is a rare find! Call, email, or text for more information or see more photos and video on my website. View a current and accurate list ALL available Houses on the market on my website.